Home / Which Packing Materials Should You Use? Which Packing Materials Should You Use? Prior to calling a moving company for an estimate, you should organize your items by using the proper packing materials. First of all, think about boxes of different sizes for storing your possessions. Next, make sure you have enough packing foam. Then, get down to moving blankets purchase which will help you secure your items. Pick the most suitable packing tape and finally, opt for an appropriate packing paper. Finally, make sure you’ve chosen enough packing materials to carry out a relocation safely. Which Packing Materials Should I Use? One of the most challenging relocation tasks is to keep the items intact. Packing foam can effectively serve as a cushion for your items, as it is lighter than bubble wrap and thus more effective. You should wrap your delicate items several times prior to storing them in boxes. You might use cloths or towels as extra pads providing more protection. Consider using polyurethane foam is adjustable and scratch-resistant. In case your goods are moisture-sensitive, this foam is a must. With the moving day coming up, you might want to look into the option of moving blankets. It goes without saying you will benefit from using moving blankets when relocating. You will not have to worry about your belongings getting damaged. To cover your possessions and ensure they are safeguarded during the move. The softness of cotton will protect even the most delicate items. The thickness of these blankets will help preserve pieces of furniture as well as other vulnerable household items. They conveniently come in many different sizes, offering various levels of protection. In accordance, the level of protection varies. The largest and heaviest ones, naturally, provide the highest level of protection. Even though it doesn’ t seem to be of crucial importance, a packing tape actually is of great value. In fact, not every packing tape matches the moving boxes. Numerous factors affect the packing tape effectiveness. The effectiveness of the tape is affected by temperature, humidity, its stickiness and strength, adhesives types, width, and color. Still, what’s the difference between shipping, and a storage tape? Well, if you want to seal the box properly you should use shipping tape. Besides being strong, it doesn’ t contain a cloth backing. As a result, you can undo it from the boxes in no time. 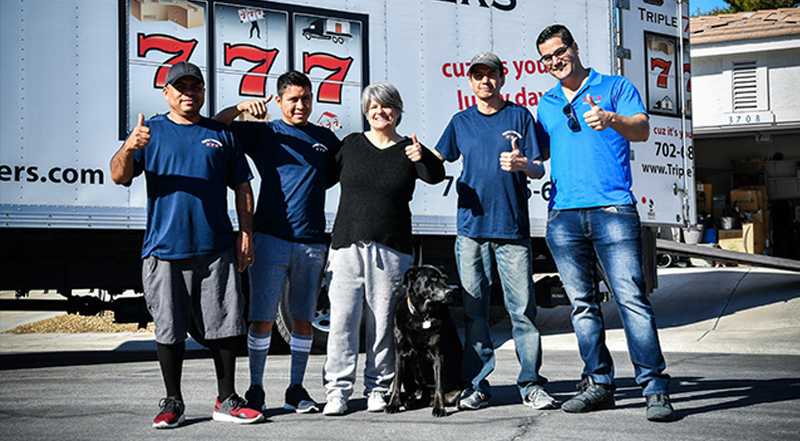 Any professional moving company in Las Vegas will recommend it. On the other hand, you should use storage tape in the event that you want to store the items in a storage facility. It will, by all means, ensure your boxes are firmly closed. Goods packaging involves a wide array of packing paper. To begin with, you should use the kraft paper for its high level of elasticity makes it one of the most suitable packing materials. Other key features of kraft paper are its durability, strength, and moisture-resistance. You may also use kraft packing paper to protect sensitive surfaces when moving. Packing paper is a versatile protective layer for your items. You need to use a regular packing paper to protect kitchen equipment. Do not hesitate to use a thick padded packing paper glass and delicate items such as television, dishes, and framed artwork. Packing paper is better than bubble wrap because it is far more flexible. Packing paper is beneficial because it creates an additional defensive layer by crumbling. Consequently, tiny air pockets protect your belongings. On top of that, packing paper is easy to recycle. Choose boxes of various sizes to fit your items. Get packing foam to safeguard your possessions. Purchase moving blankets based on the level of protection you desire. Acquire packing tape. Pay attention to the difference between shipping and storage tape. It depends on specific relocation needs. Use packing paper for your extra fragile items. How to Find Affordable Movers in Las Vegas?